How many of you had dreams when you were young? More importantly, how many of you followed through on those dreams? It’s okay for certain aspirations to fall by the wayside, because let’s be real – sometimes they aren’t meant to be. When Micky Thornton was a little boy, he dreamed of doing something that people weren’t sure he would follow through with. For a while, it seemed like he wasn’t sure he would follow through with it either. We’re always encouraged to dream big when we’re young, and many of us do. But even when we reach for the stars, unfortunately there are times where we sometimes fall short of our goals. It all comes down to perseverance through adversity – and when it came to Micky Thornton, he was one man who persevered through it all. Ever since he was a little boy, he had a dream to build his own swimming pool – and he never gave up. When most people are kids, they generally don’t dream of building their own swimming pool. They dream of getting a new video game, or a new bicycle, or maybe their own pony, depending on their preference. But at the age of ten, Micky wasn’t your typical child. 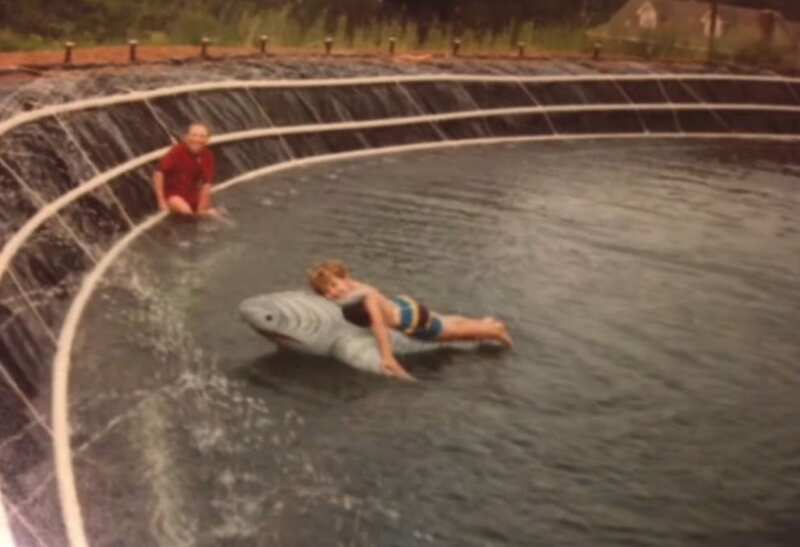 He wanted a swimming pool – and more importantly, he wanted to build it himself. But this desire was too big for a child his age – and it would take a while till he could finally turn it into a reality. But although the ideas he had were pretty impressive for someone his age, it would be a lot harder to turn them into a reality. In fact, it would be nearly three decades before Micky even started working on the swimming pool. Perhaps “the real world” got in the way – but what makes this story so inspiring is that he came back to his original plan. Even though it seemed crazy, he stuck to his vision, and started building. He might have been 39 years old, but Micky probably felt like a little kid when he first started working on his swimming pool. After all, it was during his childhood years that he originally conceived of the idea – so it makes sense that he’d be giddy about it all. The year was 1993, and he was living in Covington, Tennessee. He realized that the time was now – and if he didn’t at least try to make it happen, would it ever take place? Once he got started, he realized that it was a lot easier said than done. 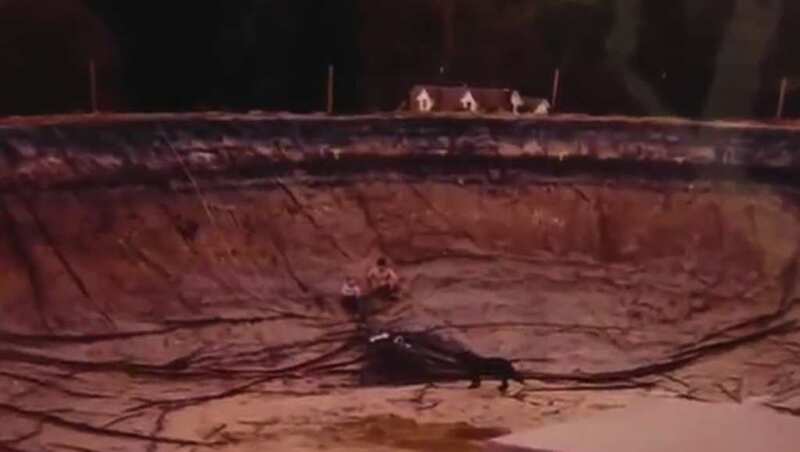 The first thing he focused on was digging a hole – and it ended up being a total of 20 feet deep! This was clearly a do-it-yourself situation, and he was learning everything on the fly. He didn’t have access to professional lining or tiles, so he had to use a polyethylene mat for the floor of the pool. But even though things weren’t moving fast, at least they were moving. 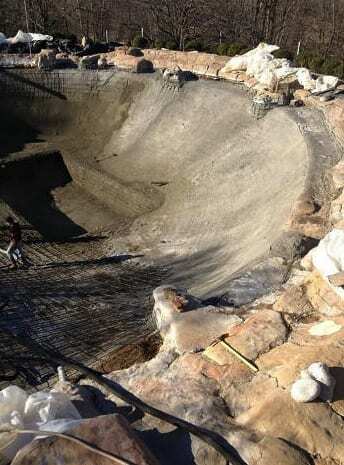 Micky didn’t care about the fact that the pool wasn’t perfect yet, or even “professional” looking. 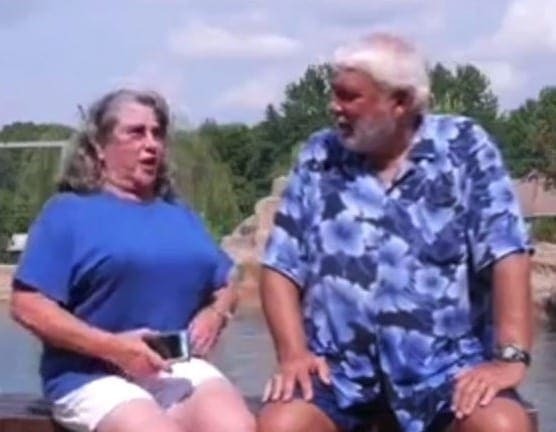 For instance, his wife was a big factor in some of the pool planning – especially in regards to its location. She knew very well how much the pool meant to him, and she by all means supported him throughout it all. 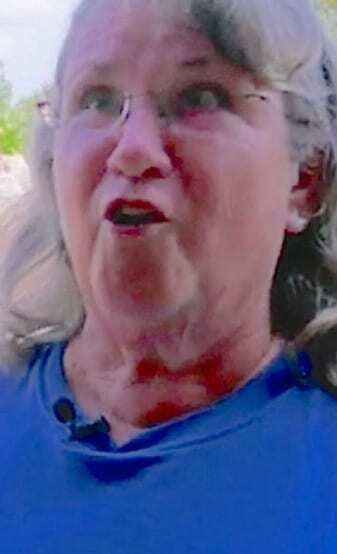 That being said, she wasn’t too keen on him building the pool close to the pavement of their house. She said that “he had had to move it out some.” As you can see, obstacles come in many forms, but Micky kept his eyes on the prize. 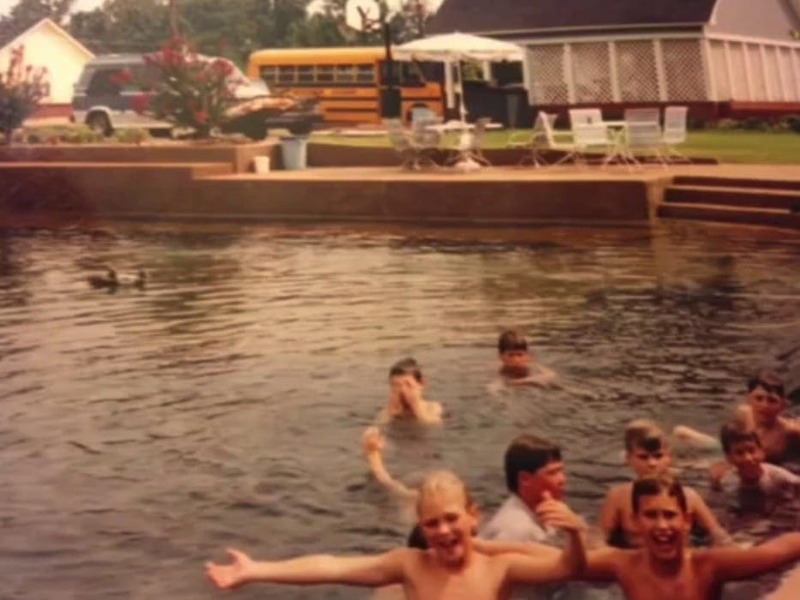 Okay, so for the majority of the mid-90s, Micky had himself a pretty big pool – but there were certain aspects about it that were still kind of amateur-like. For instance, the floor of the pool was still lined with polyethylene, and that made it seem less professional. He knew that if he wanted people to take his pool seriously, he needed to instill it with some state of the art materials. In the late 90s, he finally made that happen. In the years leading up to the new millennium, Micky refurbished the floor of the pool, so that it was no longer lined with polyethylene. But that wasn’t the only thing he did in those years. He also addressed a number of the issues regarding the water filtration. 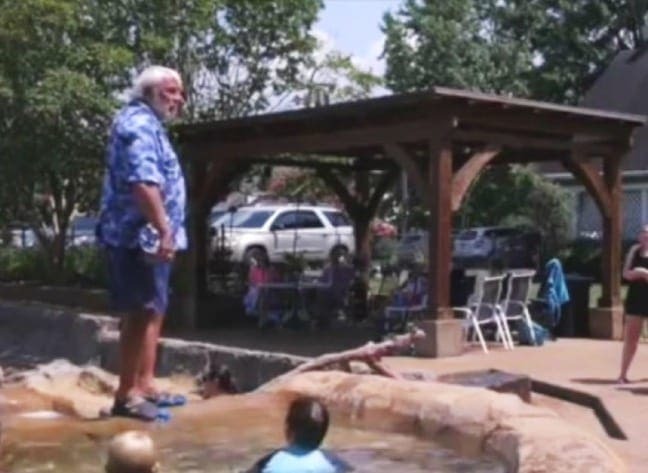 In order to keep the pool clean, he was forced to create his very own water filter system. Slowly but surely, his pool was getting better and better. It was at this time that Micky had pretty much covered all the important things in regards to the foundations of the pool. It was clean, it looked nice, and it looked professional – but he wasn’t done there. Now it was time to make his pool stand out above the rest. So what did he do? 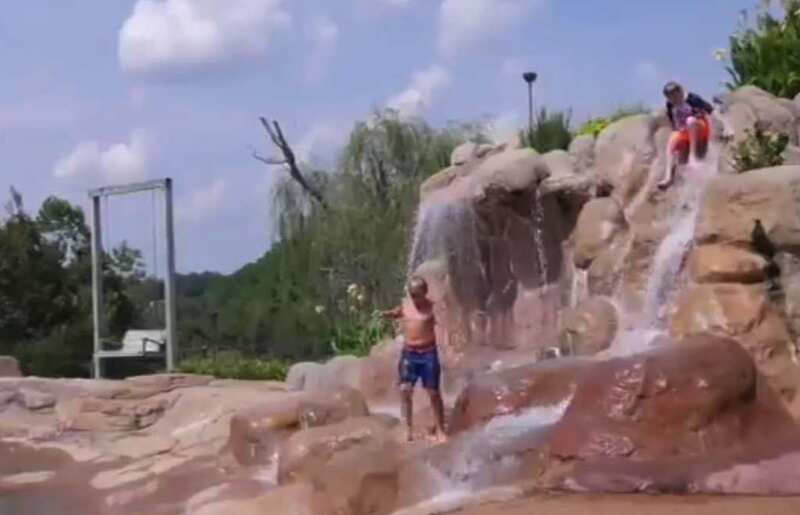 He installed a waterfall into the pool! Talk about something to get the folks excited. But he was far from done. 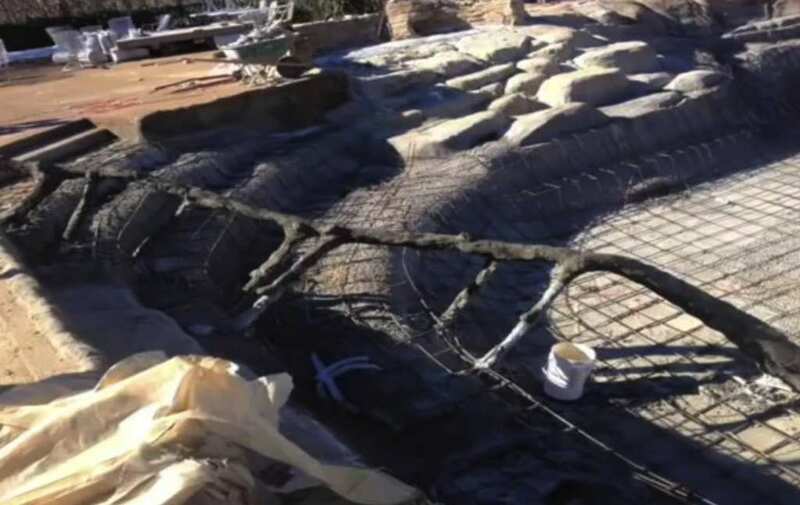 Another feature Micky installed that he knew would make the pool truly exceptional was a rocky design. He added a whole plethora of rocks to make the pool look even more unique, and it certainly looked like his pool was shaping up. However, it wouldn’t be till 15 years later, in year 2013, that he really took things to another level. It seems that once Micky had gotten started, he kept looking to make his pool better and better. Although the rocks served the pool well for 15 years, Micky wanted to take things up a top notch. In 2013, he had it professionally refurbished so that it looked as professional as possible. 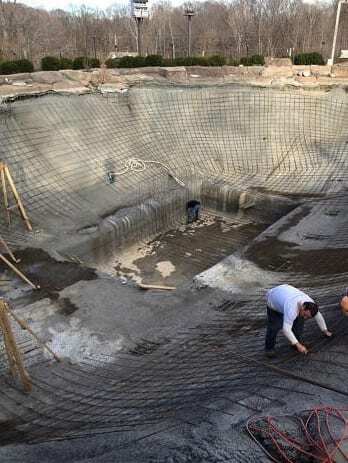 In fact, Thornton claims that he used 20 tons of steel rebar on his pool. 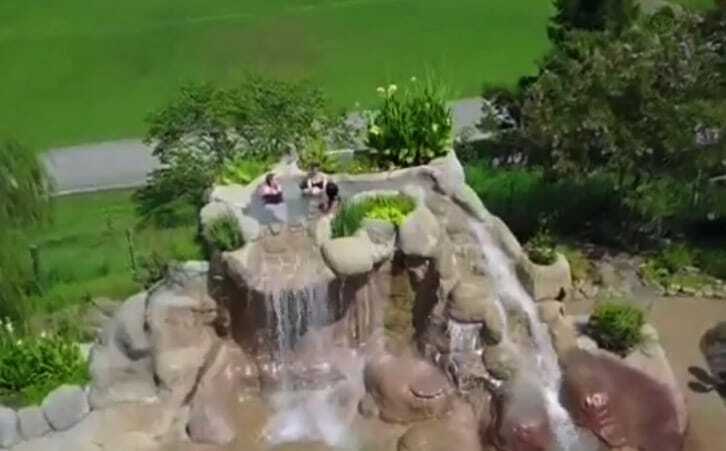 In addition, he had about 320 yards of gunite applied as well, which is a hard substance made out of cement, water, and sand – and something that’s used often to line tunnels. At this point, the pool looks so good that people are coming from far and wide to see it. But these people aren’t just coming because the pool merely looks beautiful – they’re coming because the pool is practically a waterpark. Yes, you heard us correctly. 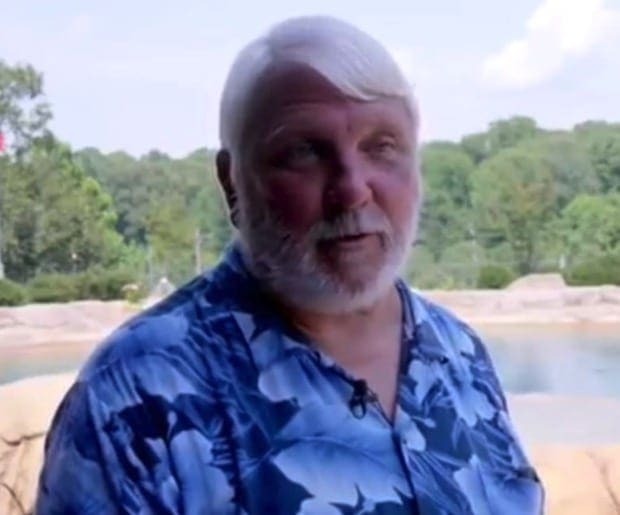 Micky didn’t just want people to feel like they were in paradise when they saw his pool – he wanted them to let loose in a way that allowed them to have good old fashioned fun. Let’s talk a little bit about the different fun things that exist in Micky’s pool. 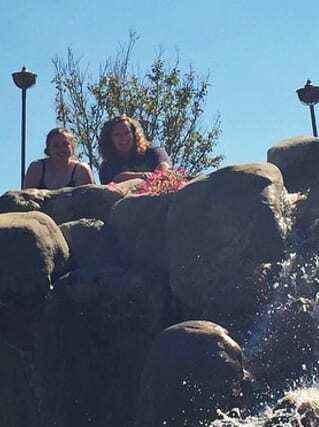 We already established that there’s a wonderful waterfall. 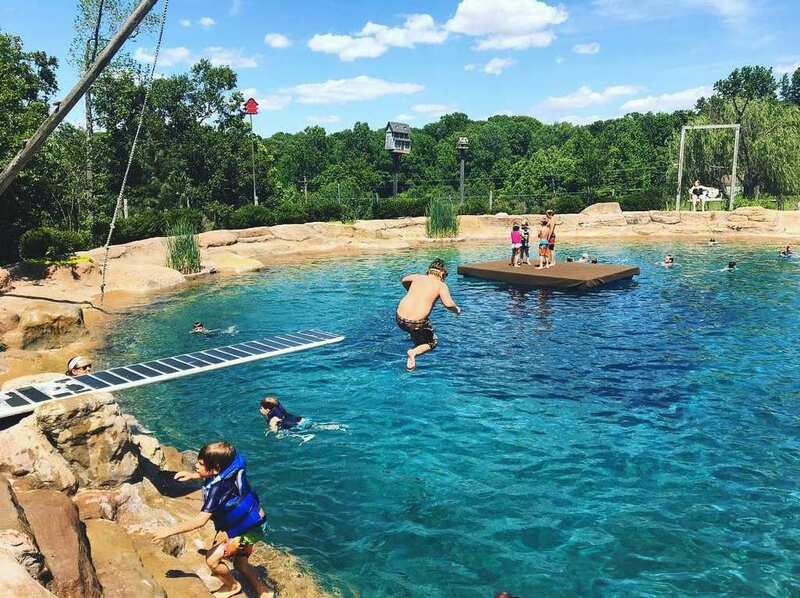 But there’s also one of the coolest diving boards you’ve ever seen – one that you can’t resist jumping off of. And then of course, there is the rope swing. 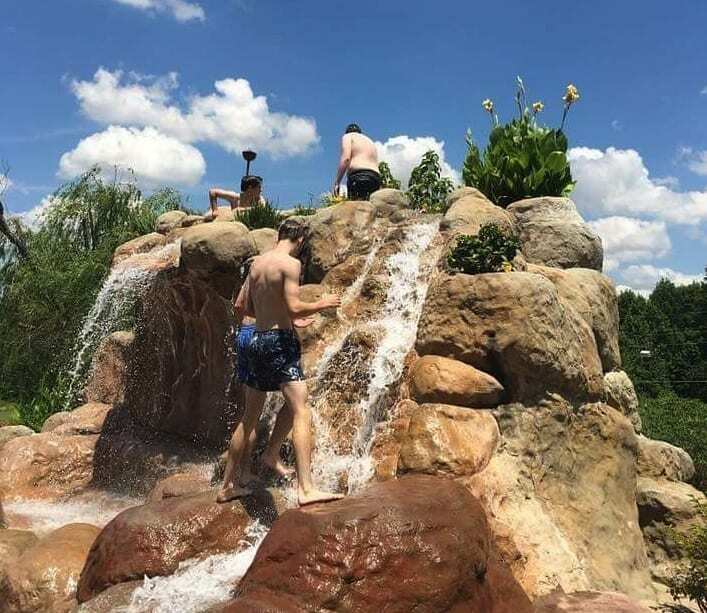 This really is the cherry on top when it comes to having fun in Micky’s pool, and it’s one of the reasons that so many people are coming to check it out. 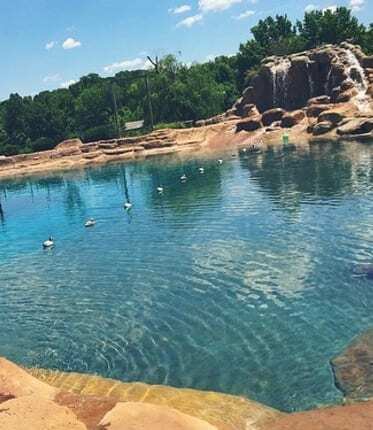 You might be thinking to yourself, it makes sense that people would want to check out Micky’s pool, and have fun there too. But what gives them the right to do so? Is Micky okay with them checking it out? 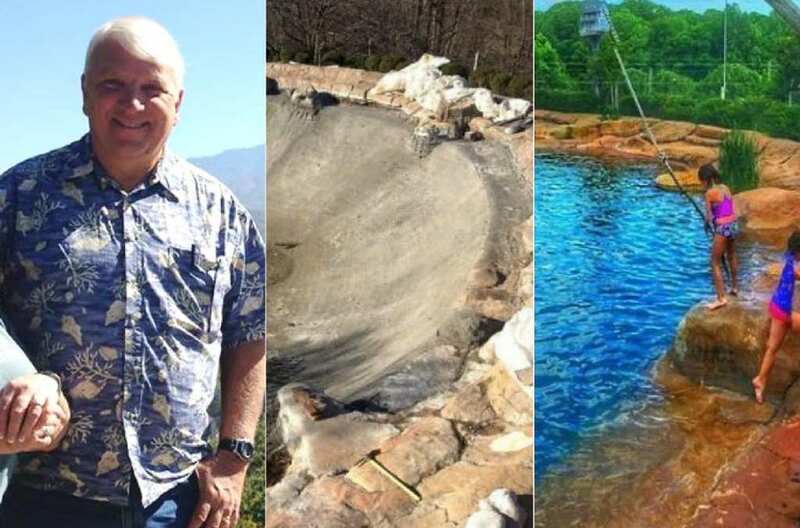 Well, it turns out that Micky is an extremely generous person, and he was originally more than happy to allow people to swim in his pool – free of charge! For him, it was always about sharing the happiness. But even though Micky had such a giving attitude, and didn’t require payment, eventually people started insisting on paying him for a swim. As time went on, Micky conceded that he should probably charge people to swim there – even if it makes him uncomfortable. Nowadays, people are more than welcome to swim in the pool, provided that they give a small donation. But people have no problem shelling out their money, because the pool is that awesome! Now that Micky has an organized payment plan in regards to people coming to swim in his pool, it’s added a level of professionalism to the whole deal. They’ve never been short of visitors, and the pool is as popular as ever. 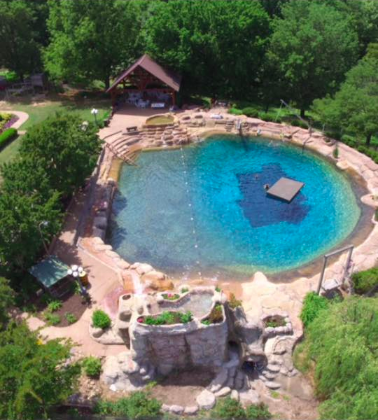 In fact, they even have a Facebook page that allows people to reserve a time slot to come swim there. It seems that the Thorntons have themselves a fully fledged business, and a thriving one at that! Indeed, not only do they rent out their pool to informal parties, but they also have many reservations made for more established groups, weddings, and birthday parties as well. If you want a great example of this, consider that the entire Japanese national baseball team enjoyed themselves a nice swim when they were in town. That right there shows that Micky has built himself a pretty amazing business. 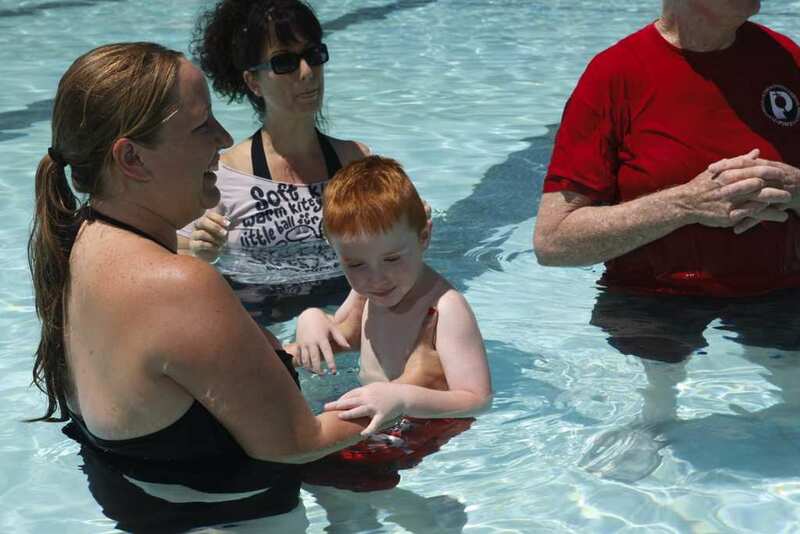 But the fun doesn’t stop there – the pool is used for other services as well. In addition to services related to fun and games, Micky’s pool has been a place where folks have made the choice to baptize their children. He hasn’t kept a record of how many people have done it there, but he estimates that “over 400 people” have done performed the religious service over there. He says he thinks it’s “kind of neat,” and we certainly agree with him. 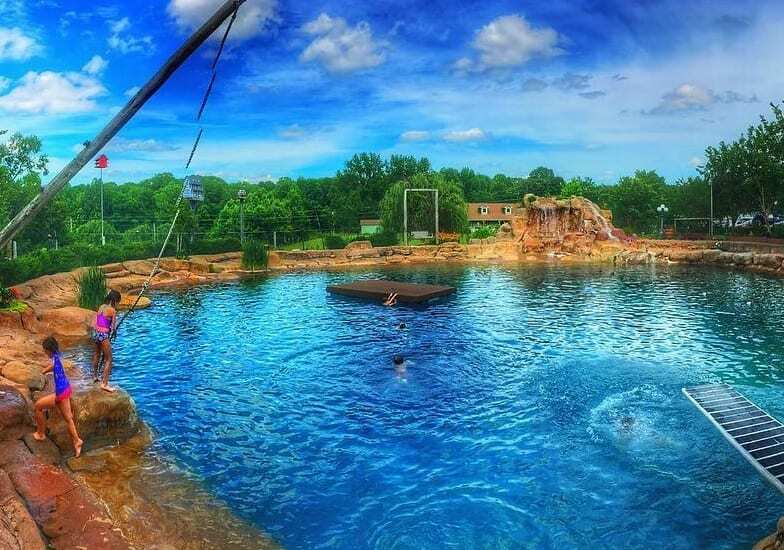 This is one pool that pretty much does it all. As we said earlier, dreams are the type of things that can stick with us for a long time, but if you don’t nurture them into reality, they can easily fade away. Micky had a dream that he never forgot about, no matter how many years had passed. And even when he was his late 30s, he knew that it wasn’t too late to start working on it. Clearly it has paid off for him quite a lot, and we can certainly learn a lot from his story.